Pesto Chicken Soup with Avocado | Simple. Tasty. Good. Another recipe with very ripe avocados that isn’t a classic guacamole dip! 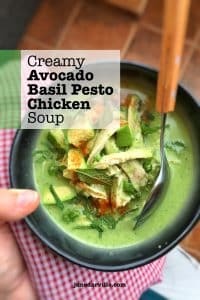 The flavors in this pesto chicken soup are spot on, and how I love the match between the creamy avocado and the stronger basil pesto. I made a creamy avocado spaghetti sauce before, also worth checking out! Avocados are plentiful here in Spain and I love them because they are just sublime. Flavor overload! I sometimes just mash one up on a piece of grilled bread, pinch of pepper and salt and then done! 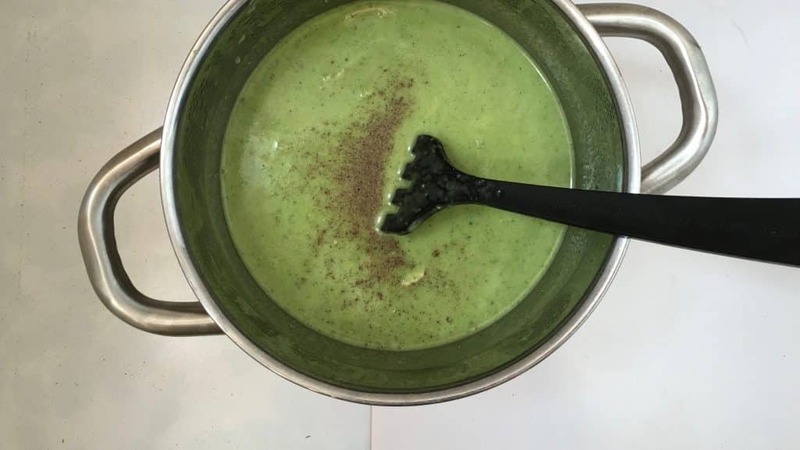 This is my second avocado soup: my first one is a funky chilled green pea and avocado soup with bacon, also perfect for summer days! This chicken pesto one is the perfect hearty comfort soup for colder days. 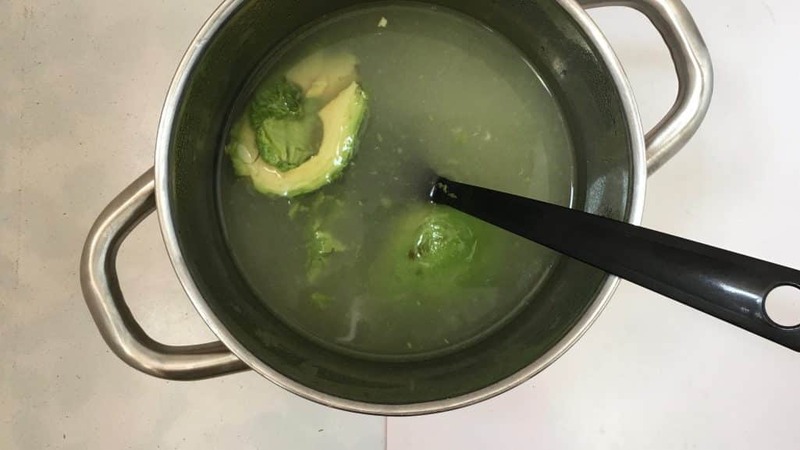 I wasn’t sure whether the hubs would love it because he’s not a huge fan of avocados but he enjoyed it this soup to bits. Bon appétit! The flavors in this pesto chicken soup are spot on... love the match between the creamy avocado and the stronger basil pesto! Pour the chicken stock in a high pan and then add the peeled garlic cloves. Place the pan over high heat until boiling and then add the chicken breast. Turn the heat a little lower, put a lid on the pan and cook the chicken breast for 10 minutes. 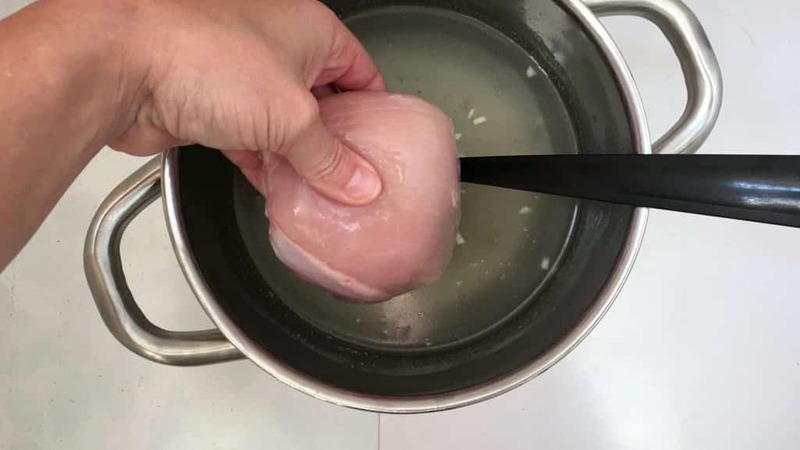 Then remove the an from the heat, take the cooked chicken out of the stock and let it cool down for a couple of minutes until you can touch it without burning your fingers. 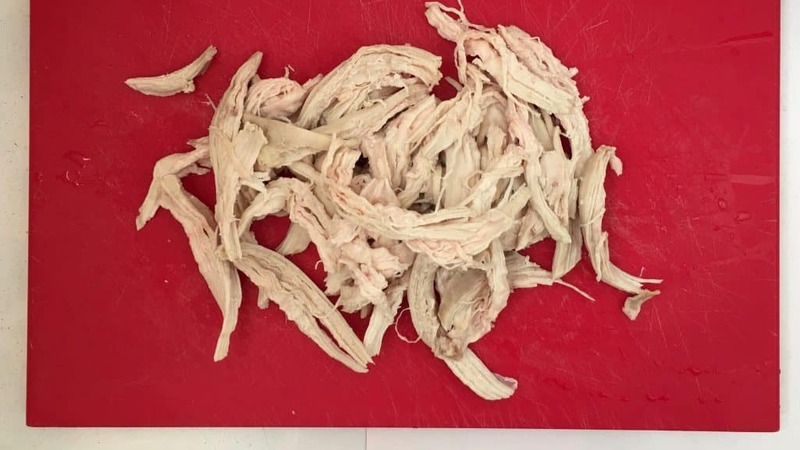 Shred the chicken into smaller bits. Place the warm chicken stock back over medium-high heat and bring it to a good simmer. Slice the avocado in half, remove the seed and then with a tablespoon scoop the soft avocado meat out of its skin. Add it to the chicken stock. Season with a pinch of pepper and salt. 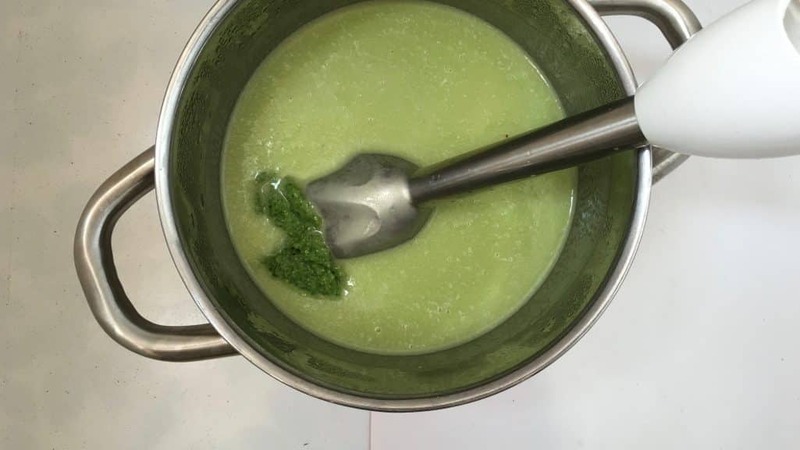 Blend or mix the soup into a smooth mixture. Add the green basil pesto. Stir well. Then add the shredded chicken. Stir the soup well again. Let it simmer for another 3 minutes until warmed through. Then check the seasoning and add extra pepper or salt to taste if necessary. 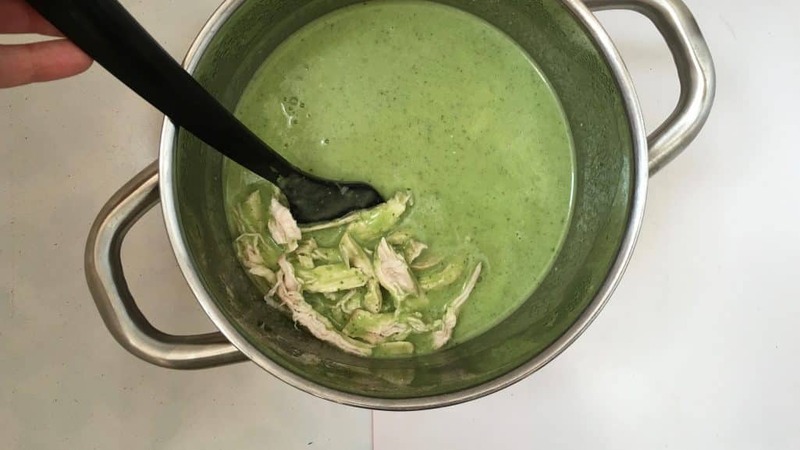 Take the pan off the heat and scoop the avocado chicken soup into large bowls. Serve hot.